Executive Vice President for Health Affairs and former interim president Greg Postel will be paid the full amount in his contract even though his duties were assigned to other administrators Nov. 13. Postel’s total salary is $950,000 for the school year, the same amount he received as interim president. His contract expires May 15, 2019 meaning he will receive an estimated $440,000 from the university while pursuing a fellowship away from Louisville. President Neeli Bendapudi alerted the campus community to the change in email that thanked other administrators for stepping up to fill Postel’s shoes. “Several days ago, executive vice president for health affairs Dr. Greg Postel requested the opportunity to pursue a fellowship designed to study care delivery models in academic medical centers across the country for the remainder of the academic year,” Bendapudi wrote. She said two doctors at the Health Sciences Campus will take over Postel’s responsibilities for the rest of the year. Postel’s fellowship is comparable to a sabbatical, when a professor is excused from teaching to travel, study or conduct research. In his fellowship, Postel will study care delivery models in academic centers around the country for the remainder of the school year. University spokesperson John Karman said the university filed a request for proposal in August for an executive search firm to find the next executive vice president for health affairs. That search will continue while Postel is on his fellowship. 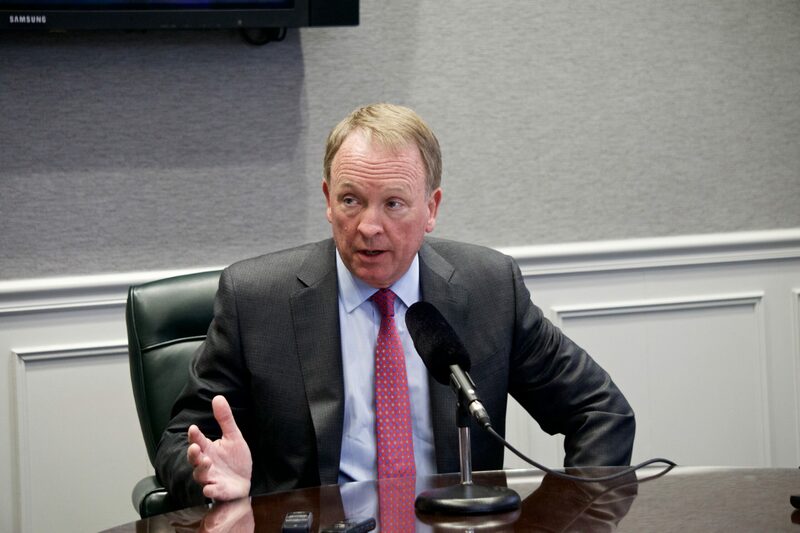 Postel was U of L’s interim president as recently as May 14 this year, before Bendapudi took office. He was named interim president in January, 2017 by a newly-installed board of trustees. Former president James Ramsey offered his resignation in June, 2016.